The Senate has affirmed the nomination of Monday Udo Tom as Resident Electoral Commissioner of the Independent National Electoral Commission (INEC). 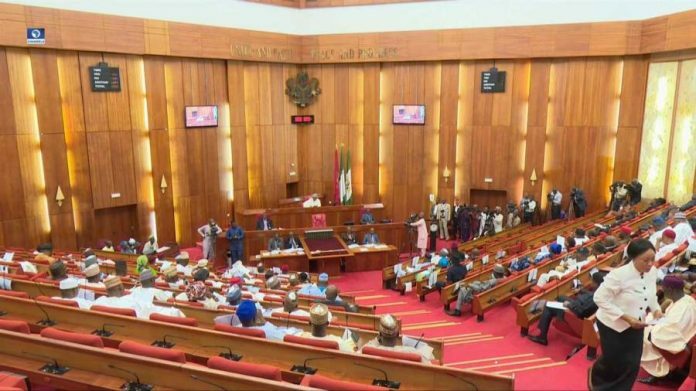 The nomination was affirmed at Thursday plenary after deliberation of a report by the Senate panel on INEC. The Chairman of the committee, Suleiman Nazif, said despite the fact that the board of trustees got an application against the candidates, none of the claimant appear when called upon & there was no proof to back up cases in the application. The legislators accepted the committee’s suggestion of affirming the nomination after a sound vote. Also, the Senate affirmed the nomination of Chidi Izuwah as Director-General of the Infrastructure Concession Regulatory Commission (ICRC). The Chairman of the Senate board of trustees on works, Kabiru Gaya, said the 3 legislators from Abia, the candidate’s state, supported his appointment.